Martin, happily-married husband and father, has fallen in love with Sylvia. To his wife, he has been her everything for decades. What happens when infidelity strips a marriage bare? And what after all is normal? How do you rebuild a family when the unthinkable happens? Just the conversations after the play with friends, are reason alone to watch! 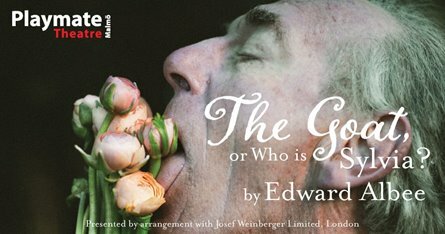 Performed in English, with an all-British cast, a guest production, produced by Down the Rabbit Hole. Playmate Theatre Malmo is southern Sweden's only professional, small cast English-language theatre company. Winner of the 2002 Tony Award for Best Play, Pulitzer Prize for Drama. By arrangement with Josef Weinberger Limited, London.